Are you looking for free cool sites to create your own social network like Facebook or Orkut? Take a look at this popular free services on-line.New social networks launch everyday, most start with the same basic features. Ning is a popular online platform for users to create their own social websites and social networks quickly and free.We have created a new social network for our class friends. SocialGO lets you easily create and run a feature-filled social networking website. You choose who can join, what they can do and how it looks and the best part is it’s free to get going. Lovdbyless offers a free open source social network platform.Built with Ruby on Rails, Lovd is a social networking solution that has everything you need to build your community. Elgg is a cool way create your own social network, quickly and easily. Elgg allows you to take full advantage of the power of social technology with elegant, flexible solutions for organisations, groups and individuals. 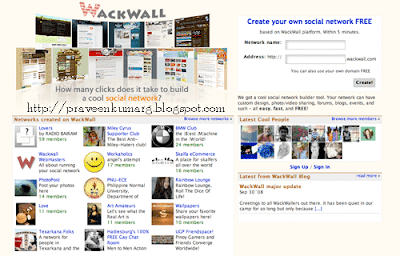 WackWall is another social network builder tool. Your network can have custom design, photo/video sharing, forums, blogs, events, and such – all easy, fast, and FREE! 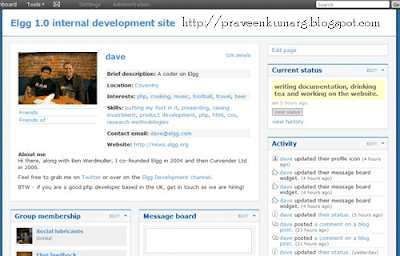 So whats your favourite social nework site ? And which site you prefer to create your own social networking site?